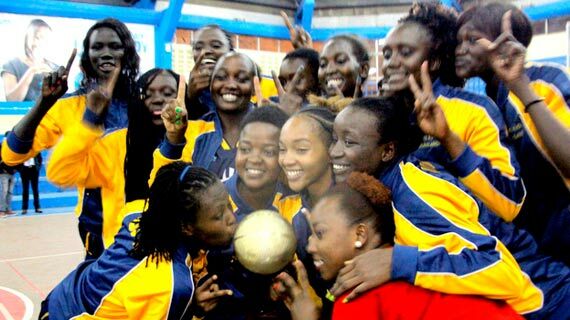 USIU-A convincingly beat former holders, Kenya Ports Authority, 74-46 in game five of the best of five finals played on Monday night at the Nyayo National Stadium gymnasium. USIU-A led from toss to whistle, taking an eight points' lead in the first quarter (23-15), and at the breather the winners led 31-21. The 10-point lead by USIU-A at the break bartered KPA's spirits which affected their play and tactical recovery on resumption. The Dockers failed to gain control of the third quarter allowing the students score a cool 22 points against 10. The Thika Road-based side sealed their win with 21 points in the last quarter while KPA only scored 15. Georgia Adhiambo was the chief destroyer in the game netting 22 points for USIU-A. Adhiambo proved she is worth her salt in the second half when she scored six baskets from the distance contributing 18 of her total 22 points. Sarah Chan was voted the Most Valuable player in the women's premiership. She garnered 18 points and 21 rebounds in game five as guard Cynthia Irankunda scored 15, nine rebounds and eight assists. In the losing efforts, Natalie Akinyi top scored for KPA with 13 points and collected six rebounds. George Mayienga, the winning coach said that he became confident his charges will lift the trophy at half time. "KPA loosened their ropes in the first half and we took full advantage of that to widen our lead. Key players in the Dockers' camp were worn out and recovering would be a daunting task on their side," noted Mayienga. "I am happy with the team, although the season we have been working extra hard and it has paid off," added the jubilant Mayienga. USIU-A lost game one 55-52 and won the second 63-56 in Mombasa. On returning to the capital, Nairobi, KPA took a 2-1 lead with 73-64 win in game three before the students locked the series at 2-2 with a 66-62 win on Sunday night.